We are here in Julie's room. The team has not come in yet. Julie is calm and collected. She welled up in tears at the house before we left. She is scared. Dr. Cahill, Julie's pulmonlologist told us to hurry so we did what I do best...Speed. I only had to run two red lights. "Don't get in a wreck on your way to get a transplant" I said as we were doing about 70 on Foothill. Once we got here, everything slowed way down. We were admitted the traditional way, filling out papers and giving them insurance cards. 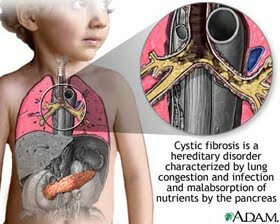 I don't ever remember actually going to admitting to get Julie into the hospital since they do it through the CF Clinic. Before I left I was fumbling with her nebs to get them packed. She needed to do a treatment. I had the thought, "she doesn't need these anymore." It was sort of surreal. I grabbed the essential Abuterol and we left. As we were waiting a bit of irony occured; A pregnant woman in labor was wheeled in by her husband rushing to have a baby. New life amist the greatest sacrifice someone is giving my wife. New life for the two of them, Julie and little baby Tommy or whatever his or her name will be. I am eternally grateful for donors. Who ever passed tonight made a selfless decision long ago that will add a lease on life to several individuals tonight. My thoughts and prayers are with their grieving family, for their pain is my families peace.